Book through our site and offer your clients the opportunity to discover Cuba. We offer combined packages, hotels, transfers, tickets, car rental and events for your clients. We offer SPECIAL TRAVEL AGENT RATES: Make the most of a minimum discount of 12% on the public prices of our products. 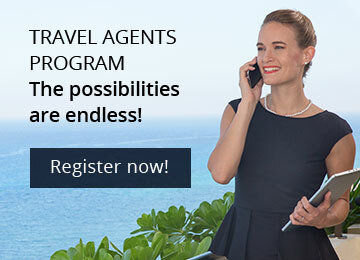 Join our Special Program for Travel Agents! Register your Agency at Solwayscuba and create your own travel agent account with user name and password. Use your user name and password for booking any of our products through www.solwayscuba.com. When purchasing, enter your customer’s information and booking details. Once you have paid online, the reservation will be confirmed immediately and you will receive an e-mail with information regarding our public rates and your agency’s net rate. Solways Cuba is an established tour agency offering a wide range of products in Cuba. Our experienced team of professionals guarantees reservations online any time of the day and from anywhere in the world.